« Is it Thanksgiving already?! My lovely niece Hannah is getting married in July. She lives far away, and I don’t get to see her very often. 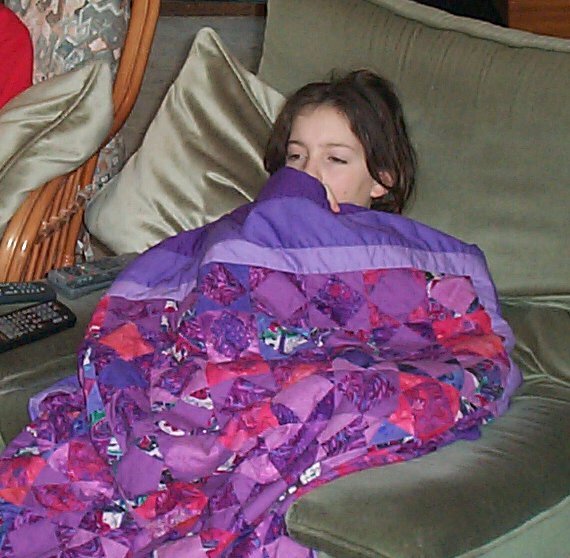 I was very touched to learn that she still uses a quilt that I made for her when she was a little girl. 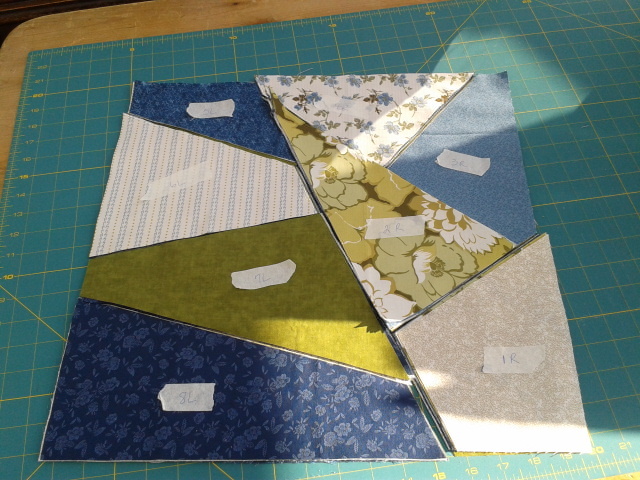 Hannah asked me to make a quilt as a gift for her maid of honour. What an honour for me to be such an important part of her Big Day! 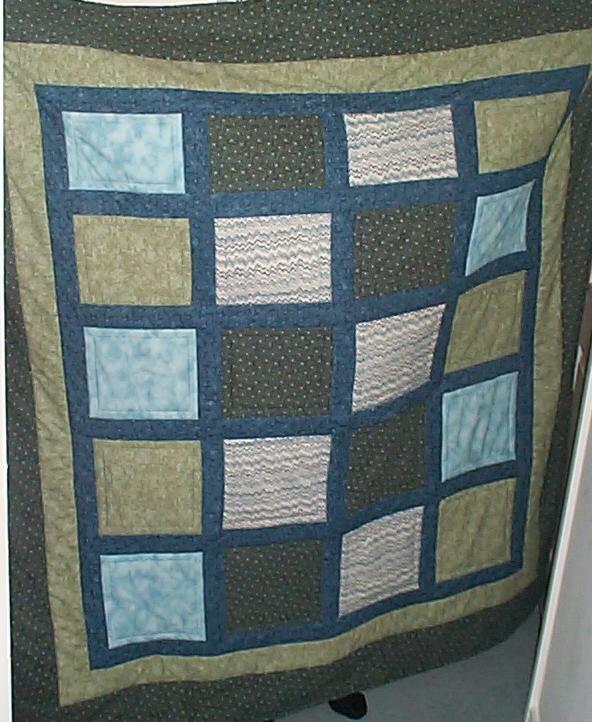 🙂 She admired a quilt that I made for her Grandad a while back, and asked if I could use that colour scheme for her friend’s quilt. I still had a lot of that fabric in my stash and thought how easy this would be! 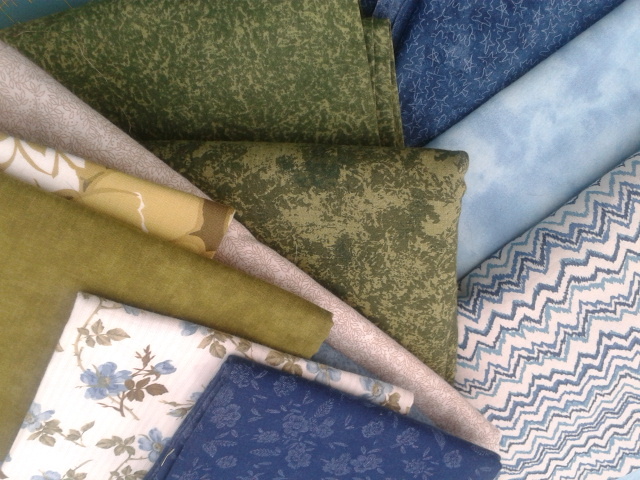 When I looked at the fabric selection again, I was less enthusiastic. The colours were still nice, and the fabric was in excellent condition, as my stash lives in a windowless dark room under the stairs. 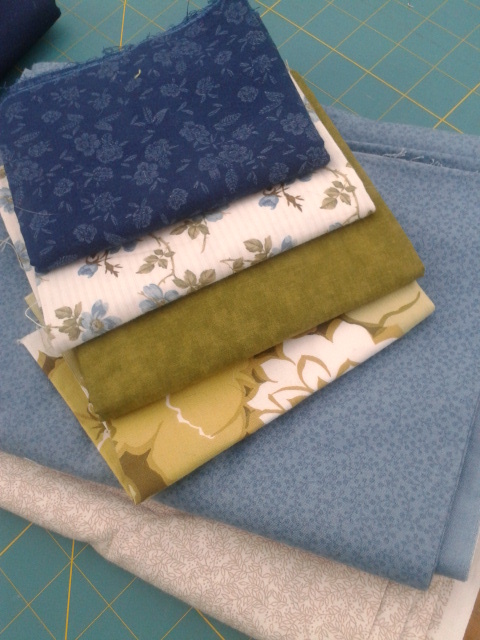 But I no longer have every fabric from the original, and it all looked a bit boring and dated and not very feminine. These are young sophisticated working women in their mid-20’s, so I definitely wanted something more contemporary without being overly girly. 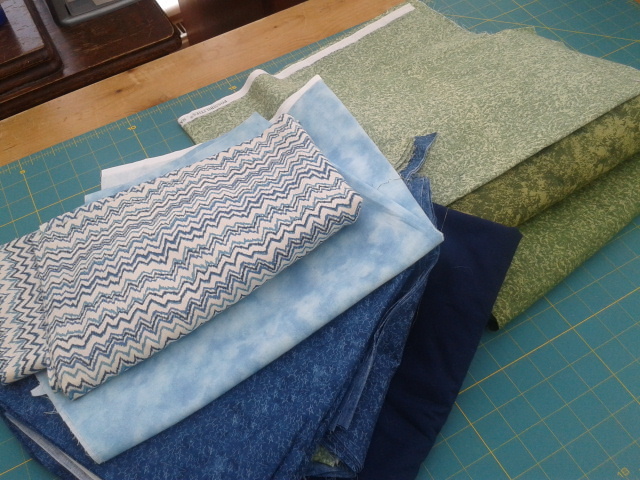 After a little trip to the fabric store and mixing and matching with other choices from my stash, I finally had the good mix that I saw in my “vision” of Hannah’s quilt. 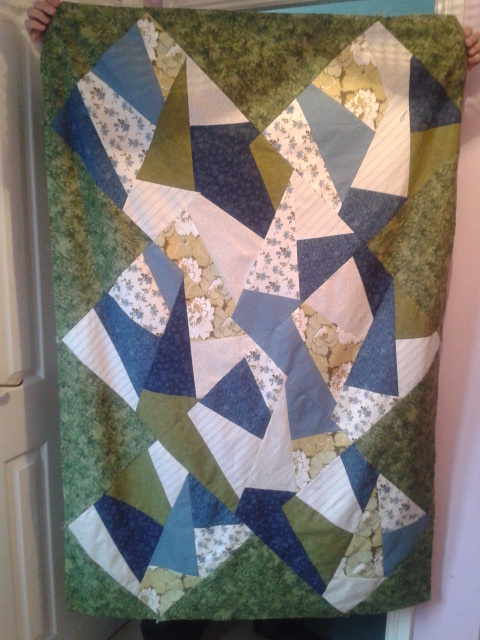 This pattern is a variation of a Victorian crazy quilt. Here are the little components shuffled and ready to assemble into blocks. I love this pattern. It’s called “Stack, Cut and Shuffle”, and it was designed by Marion Patterson. 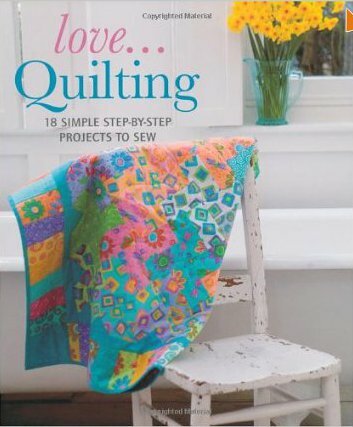 It’s from the book, love…Quilting. This is a great book, and I highly recommend it. No affiliation, I just like this book a lot. Every pattern looks like fun to make. The pattern instructions are complete at this stage, but I’m going to make some changes. It is 40 inches x 60 inches now, and I want it larger, so I’m going to add 5-inch borders all around. Then the abstract blocks will look like they are “floating” on a green background. More later as the finishing stages are completed! Looks nice so far. 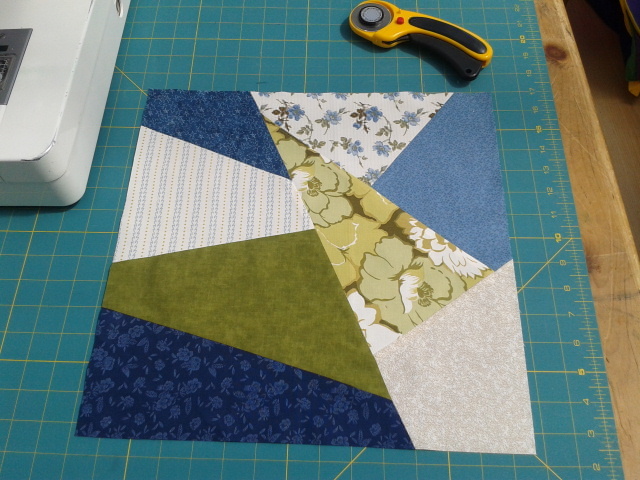 As for perfection in my quilting, I try hard and do my best, but, I don’t stress over the small stuff anymore. Thanks, Cheryl! And thank you for saying that you missed me in your post to Treadle On a while back. You really made my day, and I should have told you that sooner. 🙂 Your 4-patches for the block exchange are really cute! Take care.